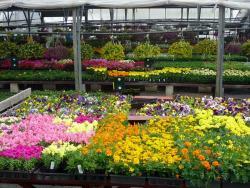 Calabrese Farms has been family owned and operated for over 50 years. 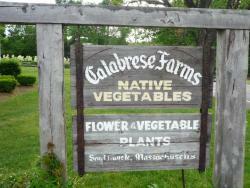 Calabrese Farms grows wide variety of fresh seasonal fruits and vegetables all throughout the spring and summer months. 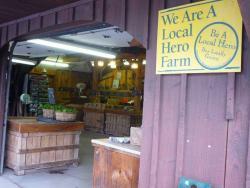 Most of what you find at the farm stand is grown right in their fields, so you know it is fresh and local. 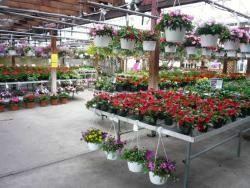 You can also find their green houses full of geraniums, vegetable plants, herbs, and other bedding plants ready for you to grow your garden for your family. As the weather gets chilly, you will find all your fall needs stocked up with everything you need from fall decor, mums, and pumpkins. Calabrese Farms offers a wide variety of perennials, annual, proven winners, and vegetable plants in the late spring and summer season. 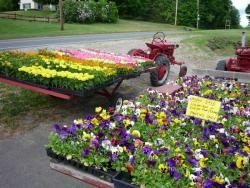 Throughout the summer growing seasons you can find the farm stand bursting with home grown fruits and vegetables from tomatoes and corn to strawberries and peaches and much more. Crop share sign ups are available throughout April and May. Open seven days 8:30am – 7pm. We will offer shares to our members for $485, with an optional egg add-on. 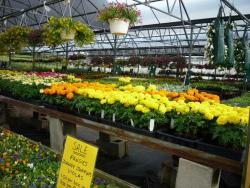 Members can expect approximately full bushel of produce during our peak season. Members can pick up their shares every week on Thursday between the hours of 11 am and 7 pm. Our season will start the first week of June and end early to mid-October depending on availability. Since most produce in every share will be grown here at Calabrese Farms members can expect a variety of crops.